Editor's Note: Every year Pamplin Media Group seeks an Amazing Kid from the respective communities covered by its newspapers. The goal is to highlight the exceptional work young people are doing to make a difference in their community or to single out those who have had the determination to overcome challenges in their lives. 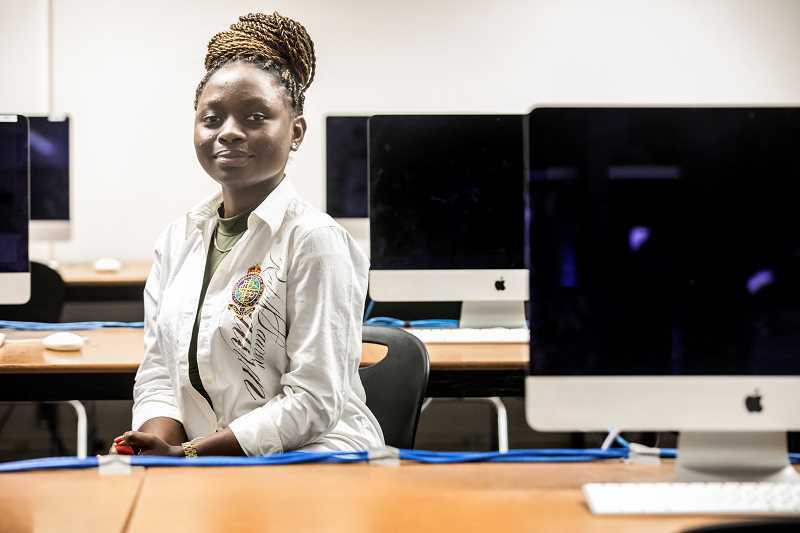 Sandy Amani has been through some significant challenges during her short life, but after escaping poverty in her native Democratic Republic of the Congo, she is pushing ahead with plans to get a solid education and return to her home country someday to help those less fortunate. "I came because my mom came here in 2004," says Sandy, a Tualatin High School senior. "I came over because of poverty back home, and I was missing her, too." Sandy's mother came to the United States to pursue a degree in electrical engineering and now works for an electric company that provides power for Washington, D.C., residents. 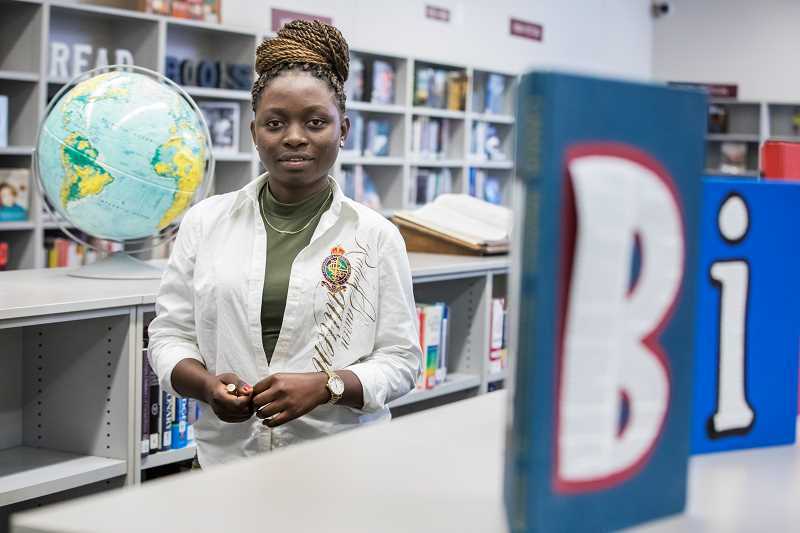 Having been raised by her grandparents in the Congo, also known as the DRC, Sandy started out going to schools in Virginia where her mother resides. Today she lives with her aunt, Elise Mugoli, in Tualatin. During all that time, she has kept focused on an important message stressed by her family members as well as her mentor, Kathy Stallkamp, Tualatin High's career coordinator. The message is simple: "If you have a dream, show up." Still, it hasn't been easy for Sandy, who has had to deal with a variety of issues in her life, some so tough she was at the point of giving up. Not the least was her initial arrival in the United States, where she had to deal with the cultural and social shock of suddenly finding herself in a different country. "She told me once absolutely everything in her life changed — the food, the clothes, the transportation," Stallkamp says. "She doesn't realize how amazing her story is and her desire to give back to the community." Sandy says one of the things that gave her great satisfaction while living in the DRC was helping those less fortunate by bringing food to the poor through the efforts of the Catholic church she attended. "In my country, it's a big deal to go eat out," she says. That means $10 a person in the United States might spend on fast food would buy such staples as tomatoes, vetetables and anchovies in the DRC, feeding a family of five for a week. In a country, she says, that is filled with corruption, Sandy insists it's a matter of who you know when it comes to finding a job. "A lot of people have degrees but they're homeless; they have no place to live," she points out. What she finds astounding in America is that despite anyone's economic status, education is available. "The thing that's most surprising (here), you have free school and if you're poor, the government can help you," Sandy says. It is her mother who always stressed the importance of education. "She said, 'We can do without (eating) but we're going to school," Sandy says. Her aunt has told her to plan on going to college as well. A self-professed student who loves science, Sandy is pursuing her dream of becoming a chemical engineer and hopes to return to the DRC to help people in that Central African country, noting that when a person grows up poor they know what suffering is and want to help those in poverty to improve their station in life. Specifically, she is interested in addressing issues related to the environmental damage caused by extensive amounts of mining (the country is rich in cobalt, copper and diamonds) because "they don't know how to do it." Stallkamp says she's very supportive of Sandy and what she can accomplish. "I think she's been through a lot of challenges and she's super determined to push through challenges. ... She's been faced with a lot of challenges and overcame them," Stallkamp says. What impresses her most about Sandy is that she doesn't close any doors. Meanwhile, Sandy says she likes to quote the following: "Don't ever give up on your dream. Don't let anyone tell you can't do this." 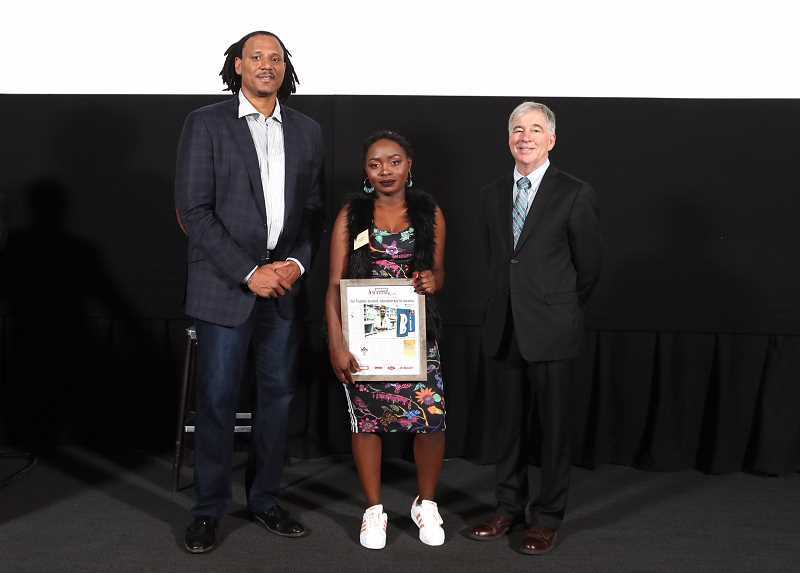 All of those selected as Amazing Kids were honored during a special presentation at OMSI set for April 28. All Amazing Kids will be highlighted in a special magazine inserted into the The Times, covering Beaverton, Tigard, Tualatin and Sherwood, in the May 3 edition.